The Afghan Local Police – Afghan Minutemen? While I don’t often quote the “Washington Times”, not to be at all confused with the Washington Post or the NY Times, there was an article in their March 29, 2012 edition, “Afghan Local Police key to success against Taliban” (http://www.washingtontimes.com/news/2012/mar/29/afghans-whom-taliban-fear/). Not unlike our Lexington and Concord brethren, these individuals are dedicated to their local turf. This very likely means that they are more highly motivated to defend their own villages, but they are less likely to be Taliban sleepers and less vulnerable to Taliban recruiting efforts. While this is not necessarily PSYOP or MISO per se. It would certainly seem like a great campaign theme where others are inspired to do the same, even perhaps motivating the National Police who may be on the political fence. The units may have credible spokes people who can help support themes and messages that bolster the security of the Afghanistan a piece at a time. I would be remiss if I didn’t mention that there is a passionate on-going debate on Linkedin concerning the Regiment. Both AC and RC MISO soldiers are involved and the exchange is lively and unfettered. While I will leave the substance of the conversation for the Linkedin Group. I’m hopeful that the exchange itself will have the second and third order effects of helping to reopen and keep open the lines of dialogue within the Regiment. I teach a number of military subjects on-line. For the past two weeks my Tactical Intelligence class has been analyzing “Operation Anaconda”. One of the key points about that operation is that CENTCOM was so focused on Iraq that it didn’t properly deal with events in Afghanistan at the time. Since we are now so focused on Iraq I thought it appropriate to apply a set of lessons learned from that conflict to US Strategy, Policy and PSYOP/MISO going forward. The source of the list of lessons learned and the photo is an article “Top 10 Lessons of the Iraq War” published by Foreign Policy on March 20, 2012(See http://www.foreignpolicy.com/articles/2012/03/20/top_ten_lessons_of_the_iraq_war?page=0,0) I’ve listed them below. Readers are encouraged to read the full article. I’ve put my comments and thoughts under each of the lessons learned. The order of the lessons was that in the article. Lesson #1: The United States lost. Win or lose PSYOP will be engaged in the conflict likely before starts and certainly after it ends. PSYOP success is measured day by day in the effects induced on the target population. While its always better to win rather than lose, PSYOP success can come even in the face of an overall US loss. Lesson #2: It's not that hard to hijack the United States into a war. The article postulates that the entry into the war was driven by neo-conservatives. It stands for the principle that civilians in government and those that influence government will drive military action. It is therefore difficult to predict the military actions of the future and to plan the force that will be required to execute the lawful orders and missions given to them. MISO optempo in particular is likely to be high during conflict and training qualified personnel will take longer than the time frame to employ them. Lesson #3: The United States gets in big trouble when the "marketplace of ideas" breaks down and when the public and our leadership do not have an open debate about what to do. This relates to debates inside the US – an area where PSYOP/MISO does not go. No comment. Lesson #4: The secularism and middle-class character of Iraqi society was overrated. Good intelligence, especially about unfamiliar places is hard to come by. Good intelligence is a prerequisite to effective MISO. This also applies to cultural and linguistic ability. MISO needs a process whereby we can quickly and efficiently find competent and vetted resources that can be factored into MISO to supplement the available force. Lesson #5: Don't listen to ambitious exiles. Lesson #6: It's very hard to improvise an occupation. Public information is critical. PAO and MISO need to reinforce each other while staying in their respective lanes. An ultimate objective of ‘an occupation’ is to act to nurture a free and informed information environment. MISO can at as a catalyst by working with Department of State and our Coalition allies to grow host country media. Lesson #7: Don't be surprised when adversaries act to defend their own interests, and in ways we won't like. Nowhere is this clearer than on the Internet. The ubiquity of cell phones and the speed Internet distribution feed a 7 x 24 media environment. Amateur videos, whether real or faked, make lasting impressions. It is clearly foreseeable that Cyber Influence will be a factor in future conflicts. It is also abundantly clear that our enemies will not play by our rules. This means we will need a more robust counter propaganda capability than ever before and that this capability cannot be hamstrung by lengthy and convoluted approval cycles and processes. Lesson #8: Counterinsurgency warfare is ugly and inevitably leads to war crimes, atrocities, or other forms of abuse. In addition to my comments on Lesson #7, we need to understand the best way to de-fuse public hostility in the face of US or allied fostered events such as the Koran burning. We should also recognize that each incident is likely to require a somewhat different approach. Lesson #9: Better "planning" may not be the answer. But better processing and cataloging of resources so that the community can get up to speed on the next AO quickly and efficiently. Lesson #10: Rethink U.S. grand strategy, not just tactics or methods. The US doesn’t have an information engagement strategy. This means that military action and the supporting MISO are doomed to be reactive. 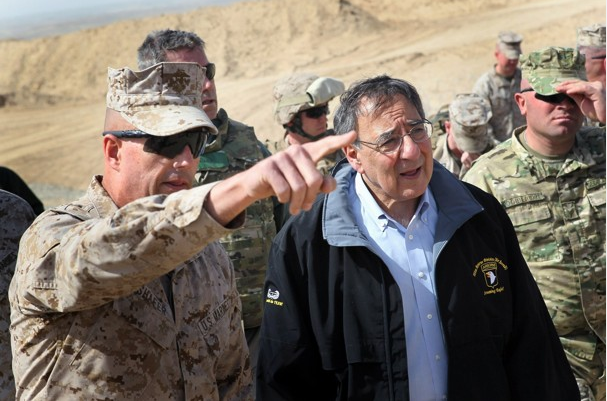 Media reports on 14 March 2012 reported that all the 200 or so troops from 11 countries listening to Sec Def Panetta speak at Camp Leatherneck in Afghanistan were told “no weapons”. Tensions are running high in Afghanistan on both sides. 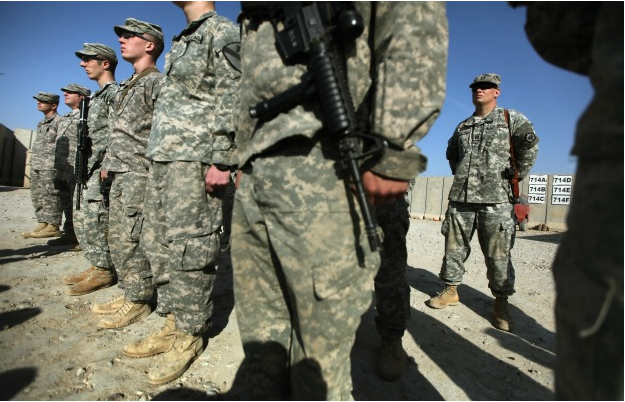 Americans are coping with attacks by Afghan troops on US soldiers and on the Afghans are seething over the shooting of 16 unarmed civilians allegedly by a US soldier and the Koran burning incident. There is an old Army expression that “One aw sh*t wipes out 1,000 attaboys.” The PSYOP/MISO challenge in Afghanistan would be hard enough without any negative incidents. While ncidents against NATO forces may resonate strongly with domestic audiences and impact the feelings and morale of troops on the ground, they have little to do for the information engagement cause in Afghanistan itself. The average Afghani is still likely trying to figure out why NATO is in his country in the first place. Incidents such as the Koran burning can be prevented. Education for the troops on the ground, especially first line supervisors – junior and mid-level NCOs in the General Purpose Force and supervisors of contract personnel must be intimately familiar with customs and ‘hot buttons’. Actions involving religious articles or religious leaders have to be handled appropriately and red flagged for action by higher HQ when necessary. Sadly neither the experts nor I have suggestions on how to prevent isolated incidents like the recent shooting. Combat zones are stressful. People see and do horrible things – they form strong bonds often to see these bonds violently broken by the enemy. No one can deny that a picture is worth 10,000 words. If so, then the right video can be worth even more! Terrorists are using the Internet as a key medium to display their propaganda and to recruit. Unfortunately finding a needle in a hay stack may actually be easier than finding something you are interest in on the Internet. Recently I was exposed to www.intelcenter.com a vendor of intelligence information. 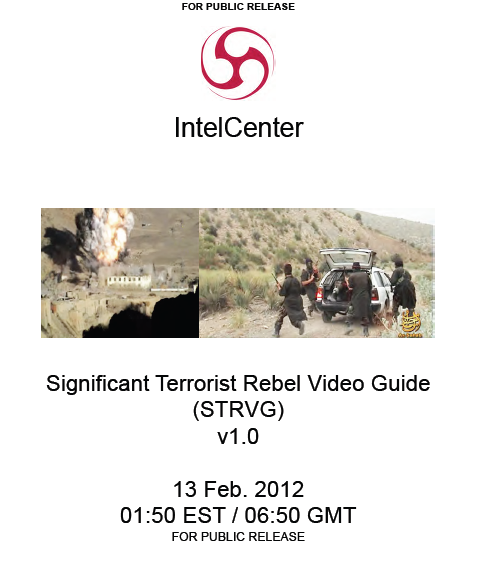 One of their products, Significant Terrorist Rebel Video Guide issued on February 13, 2012. 1. The categories – subjects of the videos. 2. Number of Videos per category. 3. Producer – which organization is associated with the particular video. Of course the listing should be viewed as a measure of production (MOP) meaning the number of items and not a measure of effectiveness (MOE) because we have no way of knowing how effective the videos are either individually or cumulatively. In any event, since there seems to be a dearth of this kind of information available, I thought it worth passing along. Let me add that I am not endorsing the product or service, nor have I validated the accuracy of the Guide itself. As mentioned in my previous posting, a potential outcome of the USA Today article would be getting the attention of Congress. Of course the focus is on the Contractor – or the symptom of the problem, rather than the disease or environment, the root of the problem. According to the 2 March 2012 edition of USA Today, Rep John Tierney of Massachusetts is one of the voices calling for the investigation. Now is the time to write your Congressional Rep and let him or her know that any investigation needs to go beyond the contractor and extend to the military force and its future, not to mention the lack of a national information engagement strategy.